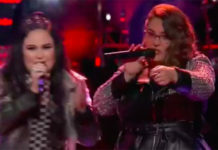 A Filipino singer with stage name Miss Powers stuns the judges and the audience with a powerful cover of “It’s A Man’s World” on Monday’s audition episode of The X Factor Australia 2016. Adam Lambert said he was surprised and he love the drop split and the first note. He said he was truly entertained by Miss Powers. 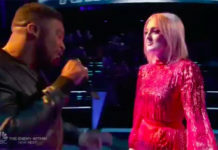 Guy Sebastian said it was the best opening to any audition he’s ever seen while Iggy Azalea said that this was the most entertained she’s been all day. Miss Powers gets approval from the judges and now moving to the next round of the competition. Watch the Miss Power’s performance on the video below. What can you say about Miss Powers audition on The X Factor Australia? Share your thoughts on the discussion box below.